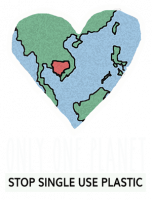 Love your coffee but don’t love the dozens of plastic/paper cups you use each week? Not enough room in your bag for all the eco products you carry around? Then this is the product for you! This silicone (and PP) mug goes from 5.4″/13.5cm down to 2.4″/6cm so it’s as portable as it is pretty! Available in three colors only. 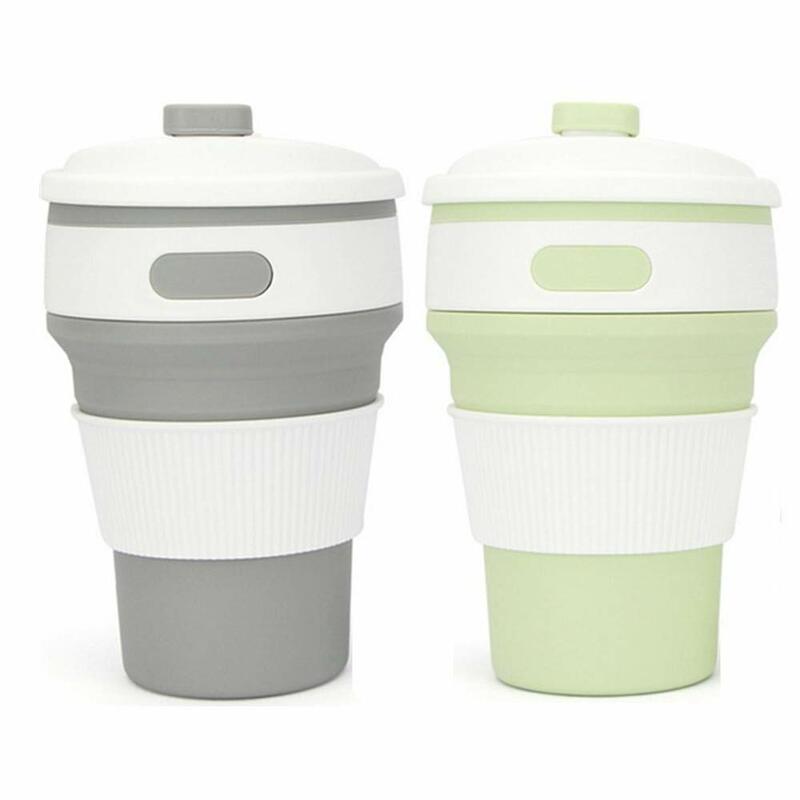 Please note that this is NOT an insulating mug, it will not keep your drink hot or cold…but it will make you look cool and show your dedication to reducing single-use plastic. 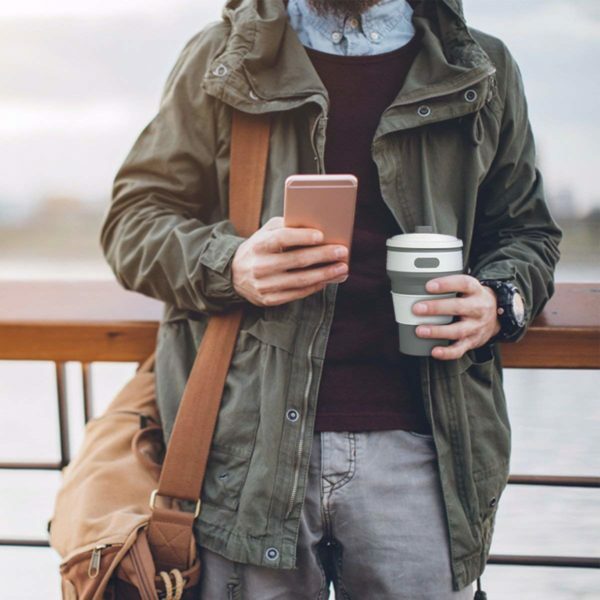 Love your coffee but don’t love the dozens of plastic/paper cups you use each week? Not enough room in your bag for all the eco products you carry around? Then this is the product for you! 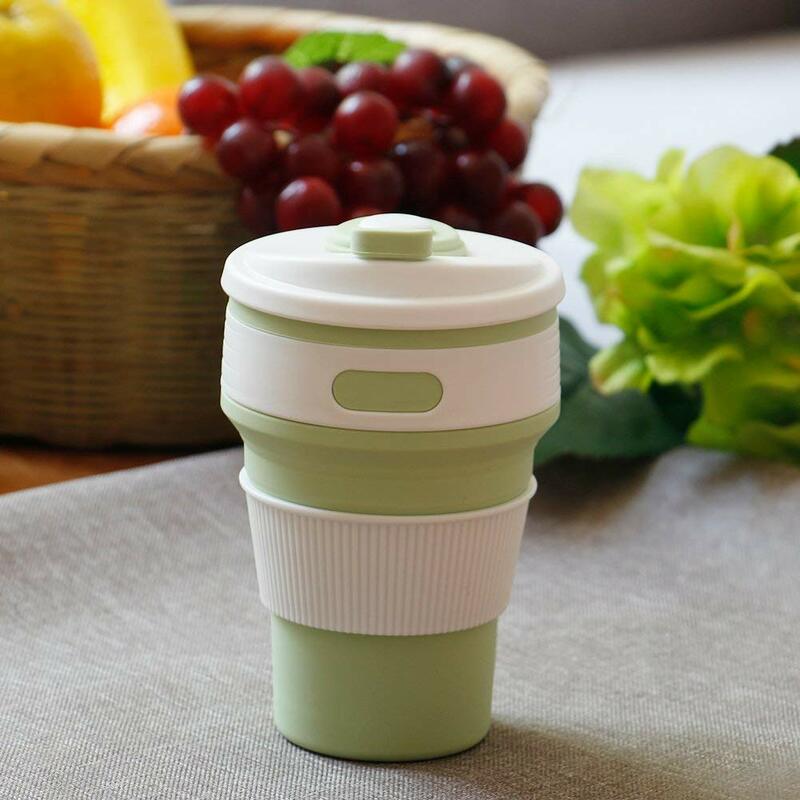 This silicone (and PP) mug goes from 5.4″/13.5cm down to 2.4″/6cm so it’s as portable as it is pretty! Available in three colors only. 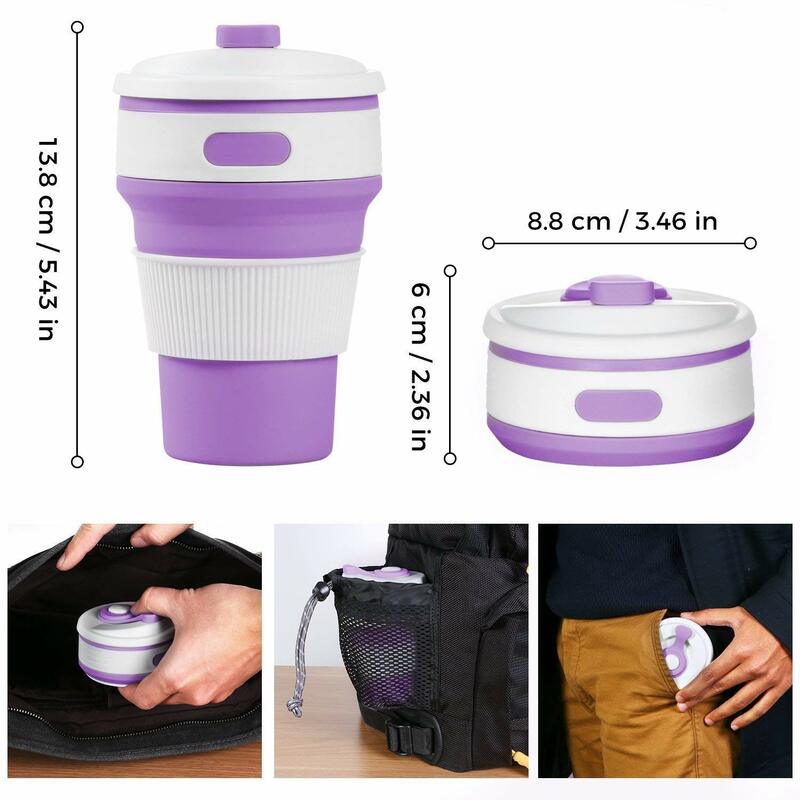 Please note that this is NOT an insulating mug, it will not keep your drink hot or cold…but it will make you look cool and show your dedication to reducing single-use plastic! 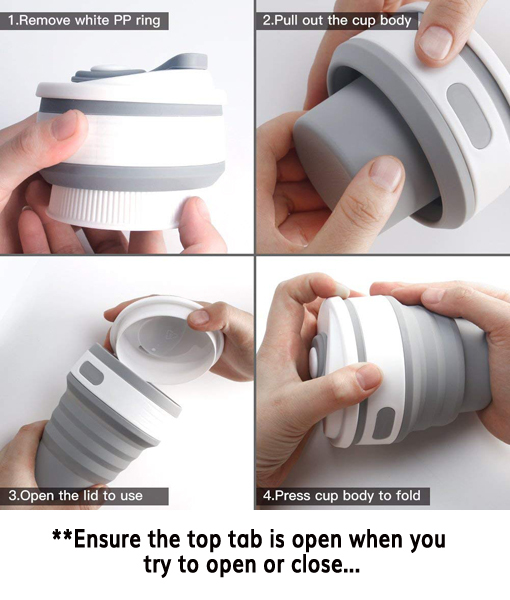 SAFE & HEALTHY — The collapsible travel cup made of food grade silicone, is BPA Free and FDA Approved. 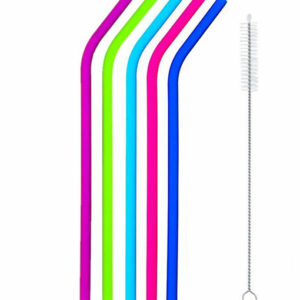 Easy to clean, non-toxic, odorless, non-staining, durable, flexible & reusable. 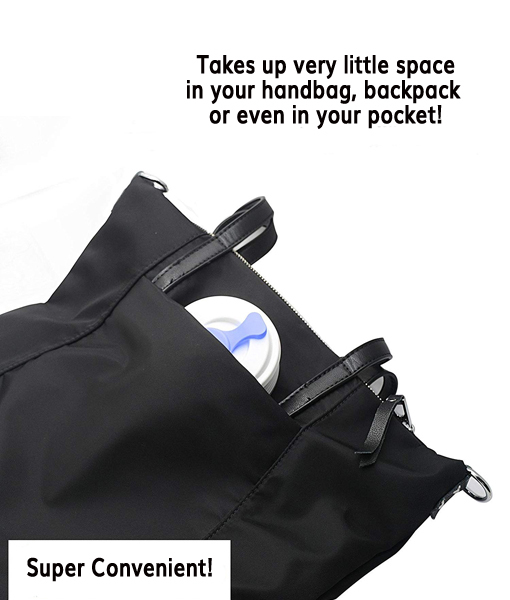 PORTABLE & CONVENIENT — Collapsible design and space saving design fits into your pocket, purse, backpack, suitcase. Ideal for outdoor hiking, camping, travelling, commuting and sporting. PRACTICAL — The tight fitting and leak-proof lid will keep dust and dirt out and prevent spills. The white pp ring stabilizes the cup and keeps it in shape, making the mug easier to hold and protect your hand from the heat. High-temperature resistance means you can put boiling water into the cup or microwave it. SIZE INFORMATION: The capacity IS 12.34oz (350ml). 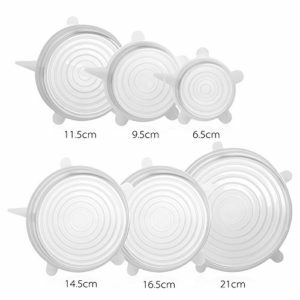 The top diameter is 3.46″/8.8cm and before folding, the height is 5.43″/13.5cm. After folding, the height 2.4″/6cm. THE IDEAL COMPANION — This mug is a superb gift for the coffee lover in your life; share a cup with your family, friends, classmates, colleagues and of course your travelling companion.